As women get older, our hair will naturally begin to appear thinner, causing many women to suspect hair loss is an issue. 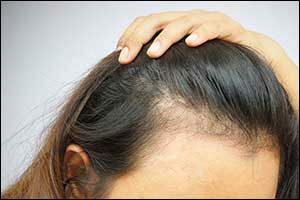 However, the truth is that while some women are experiencing what is known as “female pattern baldness,” which is similar, yet quite different from what men typically experience; not every woman is actually losing hair. So when you see information about hair loss solutions for women or start buying products, searching for the best hair loss treatment for women, you might be wasting valuable time and money that could be better spent on a viable solution. As we age, each strand of hair actually gets thicker. While those pesky grays may feel more dense and wiry, the rest of our hair gets thinner as the diameter of the hair follicles naturally diminishes. This causes women to have hair that appears less full, due to this follicle shrinkage. And those wiry gray hairs? A complete textural change occurs as we age, which results in hair that is difficult to style and smooth. This change can also make our hair color appear dull and a lot less shiny than it used to be. During menopause, the hormonal changes that rise and drop can also affect hair growth styles. Dieting or change in diet and activity level can also be an influence. In fact, studies are currently being performed regarding keto and hair loss, as many men and women who have adopted this popular diet have reported hair loss, regardless of their age. In addition, certain medications and supplements can also result in hair loss, and stress has been known to cause an increase in hair shedding, disrupting the natural growth cycle. Make sure to discuss all medications and any changes in your life with your technician when you come into South Coast Hair Options to discuss solutions for Southeastern Massachusetts laser hair therapy and other treatments. If you are experiencing hair thinning or hair loss today, you should count yourself lucky to be alive during an era when hair loss solutions for women are in use. Just a few years ago, the only demographic that received any attention for hair loss was men. Women were left to cover balding spots with scarves, cheap drug store hair extensions, or cut their hair short and live a life under wigs. The Corrective Hair Solutions (CHS) approach is unique. We understand that different hair loss conditions require different solutions, so we individualize the treatment that we provide to each and every client. You might benefit from one, two or more different solutions working together to solve your condition and restore your natural appearance. The one-size-fits-all topical solution in a box approach just doesn’t work. We address your unique pattern of hair loss, the rate of hair loss, your age, your desired hairstyle, and your hair’s natural growing patterns and tendencies to develop a customized solution. Some people lose hair or experience thinning hair due to genetic and non-genetic issues. However, all of our treatments are affordable, safe and natural. They are designed to not restrict your active lifestyle and are made just for women. Our solutions work with your existing hair, so you won’t have to cut it or shave it for our treatment options to work. We can solve ALL of your hair loss problems and provide the best hair loss treatment for women in the Greater Boston area. A lot of women have been led to believe that once they reach “a certain age,” that they can no longer have the long and beautiful hair that they desire. The truth is that through the use of dermal lens hair solutions and all-natural hair extensions, we can help enhance your existing look and give you the hairstyle that you truly want. So if you want long hair, have long hair! If you want a shorter style, go for it! We can help you look and feel like yourself again with our hair loss solutions for women. Solutions are available for age-based hair thinning and loss, genetic disorders, environmental issues, and even dietary conditions, such as keto and hair loss. Whether you would benefit from Southeastern Massachusetts laser hair therapy or one of our other state-of-the-art technology applications, our team can help you get on the right track to beautiful, care-free hair. Give us a call at 508-995-7085 to schedule an appointment with one of our technicians. We can answer any questions that you might have about hair loss solutions for women and offer details about our free consultation and scalp evaluation. 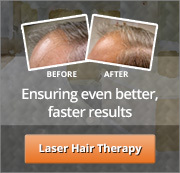 Call today – don’t waste another minute worrying about your hair thinning or hair loss issues. Get the best hair loss treatment for women in the Greater Boston area at South Coast Hair Options.